Here is the description we received from the developers: “The project is created as per order of a construction company from Bulgaria. The assignment was to design an office, which to be different and remembered. 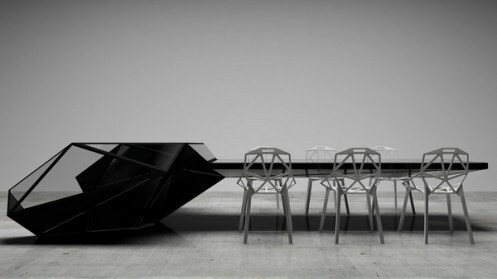 The top of the table looks like a black crystal. Together with the chairs, it can be a perfect art.